Love the Viva la Verve sketch this week! 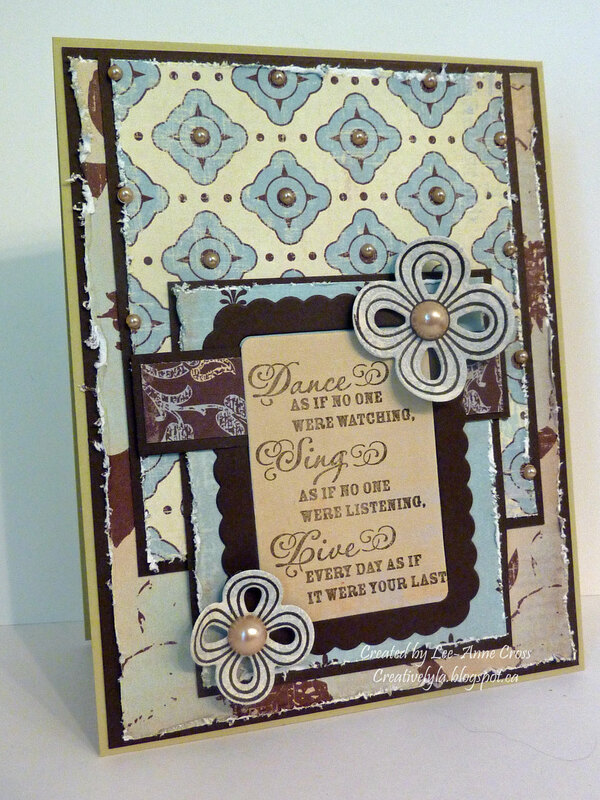 You can find it over at Splitcoast Stampers in Verve’s forum. Just made a very simple card showcasing some beautiful designer paper that I’ve been hoarding. Sometimes it’s really hard to cut into such gorgeous paper, but I finally managed to today! LOL! The papers are matted on a dark brown card stock and all the edges have been distressed. I simply added some tiny pearls on the second panel that match the larger pearls on the flowers. Paper: Stampin’ Up! Early Espresso and River Rock; MME Paris & Co.
What a great way to utilize that paper stash! Great card, has an earthy feel to it.